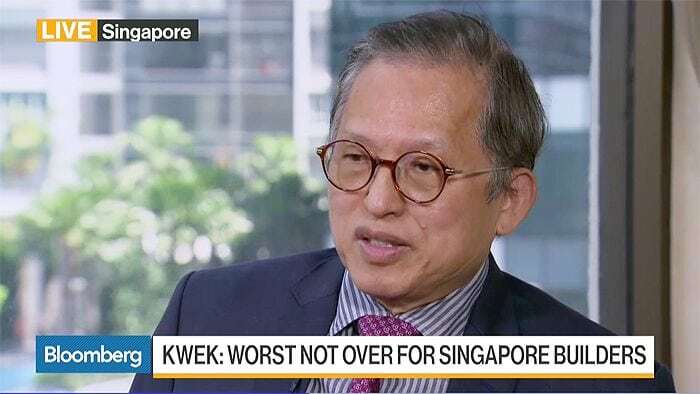 During an interview with Bloomberg TV, Mr Kwek Leng Beng, the executive chairman of property developer City Developments Ltd (CDL) believes that the worst is not over for the Singapore property market – with the property cooling measures pushing down home prices for a 3rd consecutive year in 2016. Home prices in Singapore fell by 3% in year 2016 as the government continues to stand firm with the cooling measures in place, resulting in a price decline for the 13th consecutive quarter – the longest streak since 1975. In an earlier interview, Mr Lawrence Wong (minister of National Development) have announced the Singapore government’s reluctance to ease the property cooling measures, in order to avoid having the real estate market in an overheated situation again. Despite a revenue of S$1.17 billion in 4Q 2016, City Developments have reported a 41% drop in profits for the quarter – despite being able to sell a staggering 1,017 units (bagged by the likes of Forest Woods and Gramercy Park) in Singapore for the entire 2016, which is a 51% surge from year 2015. When being asked about the luxury property segment in Singapore, Mr Kwek has mentioned that high-end properties are a good buy in today’s market as prices have declined by approximately 35% since 2013. In addition, CDL plans for more acquisitions in Singapore, as well as overseas. Kwek has mentioned the organisation has a strong balance sheet – positioning them strongly for deployment of capital and funds for future acquisitions, which may come in the form of equities, physical assets or even debt instruments.